Description: This is a replacement soldering tip for the 30W Soldering Iron. 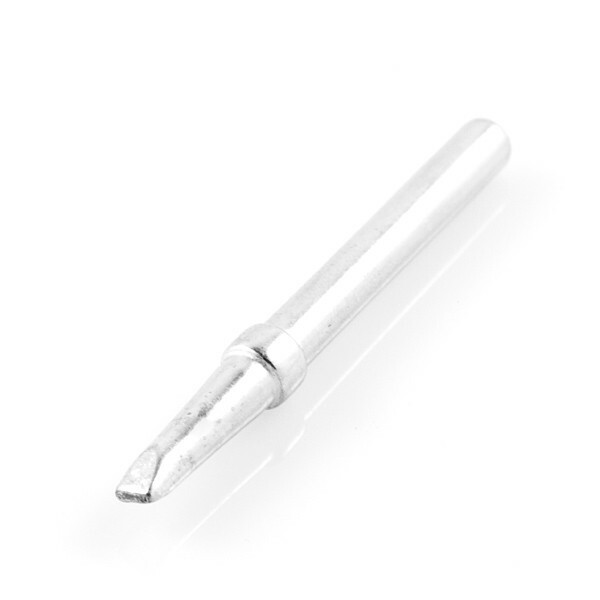 This is a chisel type of soldering tip, with a wide flat face; useful for soldering stuff that needs some extra heat. Replacing the tip is very easy - simple unscrew the shield, slip the replacement tip in, and screw the shield back on. The overall width of this tip is 1/8".